Lost Pet Research & Recovery offers phone consultations, on-site searches , rental of surveillance cameras & humane traps, lost pet poster design & placement, and assistance trapping skittish lost pets including specialized capture of hard-to-trap animals. Phone consultations are available anywhere in the US and may be available beyond the US via online conference call. On-site services are available within 100-miles of South Hadley, MA (near Springfield). Danielle Robertson is a certified Missing Animal Response Technician (2008) with a background in animal behavior and wildlife biology. To request help, please fill out a Lost Pet Form on the Lost Pet Research website. Preferred Contact Method: You will get the fastest response if you submit a Lost Pet Form: http://lostpetresearch.com/services/lost-pet-form/. Service Area: Generally available within 100-miles of South Hadley, MA (near Springfield). Limited availability up to 150-miles but may require overnight stay. Where Is Jack? Inc. was created to educate the public on how pet guardians can protect their pets from the dangers of flying on commercial US airlines. We also respond (either by physical means or counseling in remote situations) to cases of animals lost by airlines and inside airports, both domestic and foreign. Service Area: Where Is Jack? Inc. consults and coordinates with local Missing Animal Response (MAR) Technicians and K9 teams. I offer you my experience, skills and knowledge to assist owners of missing pets to use their time and money efficiently to locate their lost pet safely. I offer phone consultations nationally to give effective search and recovery advice. Locally I coordinate and conduct aggressive searches for missing pets. I am skilled in recovering dogs others deemed to be hard to capture. I have a Certified Cat Detection dog Rita May, that assists on lost cat searches and recoveries. 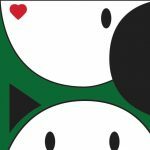 I am willing to answer requests for help as quickly as possible. I can advise on strategy development; poster creation and lost/found pet campaigns. I am willing to assist in a variety of activities, fliers, posters, locally. I will assist in an advisory capacity for those cases that are a distance from my home base. My own lost dog Rudy, dragged me into the lost pet world. I wanted every piece of information that I could obtain in order to help to bring him home. I found that the more I advocated for him, the more people surfaced requesting information and resources that have not been available in our state. 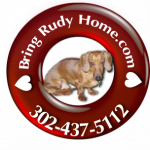 I am Rudy’s voice; he and I advocate for the rights and efforts necessary to recover all lost pets. As a participant in the Delaware Animal Welfare Task Force. I submitted a written proposal as well as a personal presentation to establish a statewide lost and found pet registry. I have collaborated in the development of that registry. While the registry is still in the infancy stage, it did go live in January 2016. It is my hope that other states will follow. Then all states can connect the dots and form one nationwide lost and found pet registry! Wandering Tails Pet Recovery is available for phone and email consultations nationwide if you have lost your dog or cat. Within the Boston area, we conduct physical searches for your lost pet. We also provide posters, cameras and traps. For lost cats, we do have a cat detection dog that assists in the search. Preferred Contact Method: Please fill out the Contact Us form on our website. Service Area: Within 30 miles of Boston. Availability: For onsite services: Wednesdays and weekends. Available any day for consults. Volunteer services include phone consultations, poster design and placement. 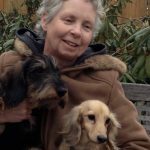 Judene is a volunteer member of Maine Lost Dog Recovery. All calls and emails will be returned as soon as possible. 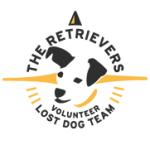 Volunteer services include phone consultations, poster design and placement, on site lost pet services including camera and humane trapping equipment. Carol is a volunteer member of Dog Star Rescue and Dog Gone Recovery Volunteers. All calls and emails will be returned within 24 hours of a request. 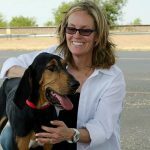 Landa Coldiron is a two-time award-winning bloodhound handler and brings twelve years of in-field experience to lost pets searches. 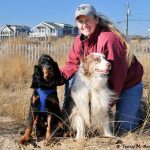 Her bloodhounds have won the CVMA Animal Hall of Fame Award and the 2015 AHA Search Dog of the Year Award. Landa works under two private investigators. Forensic testing is available. Preferred Contact Method: Phone, text or email. Availability: Full-time. Can travel overnight.